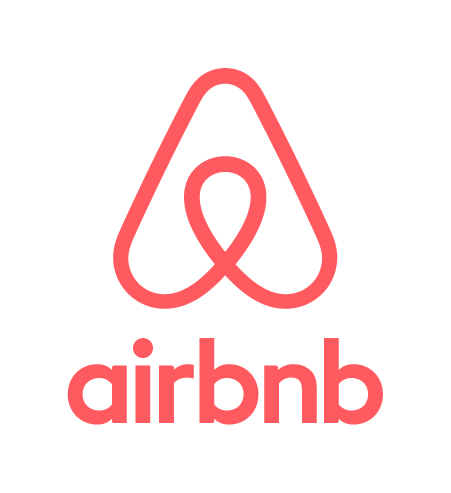 How to use SEO to rent on AirBnB better. Normally SEO or search engine optimization shows its true colors when you do a google search, this happens without you even knowing it, and there are professionals out there like us that use their knowledge to help businesses rank higher in search and to have a greater return on their marketing dollars. I started an AirBnB last June and since AirBnB seemed to have their own system of searching for a listing, I wanted to know if I could manipulate my search rankings to get more traffic over my competitors. My own AirBnB listing allows me to see my rental unit’s views and bookings, giving me a conversion percentage, but it won’t let me see the traffic or bookings of my neighbors, and ultimately my competition. It took a lot of foot work, but I love this kind of data, the only way to see if they were booking was to log in at night and see if their listing was no longer available, I did this with a dummy account (to avoid AirBnB favoring my host account to make me feel all warm and fuzzy inside). I set a 5 mile radius as to not venture too far into Jupiter or West Palm Beach, places that are more expensive, so for this test I only used rentals in Palm Beach Gardens. I used the dummy account to search for private one bedrooms with all the amenities that I had set forth in my real profile, e.g. WiFi, kitchen access, pool, gym and other amenities, if a rental unit came up, it was competition. Also, AirBnB makes smart suggestions to my unit ($55 a night). So, although I think pricing is huge in people’s search factors, for the most part hosts with the same amenities and location stayed in the smart pricing range and those that increased or decreased their pricing was taken into note to see if it had any affect. The only variables are the hosting profile copy (descriptions and grammar might deter a prospect), image quality (the smucks are not displaying their product in the best light), and profile picture of the host (because some people wouldn’t use a smiling picture). These variables are almost impossible to prove unless I took a test group and asked them their feelings on each listing, which might actually be fun, but I don’t have those kind of resources. This month I was very active, I would change my copy and change my pricing by one dollar or so to keep my listing fresh, AirBnB even suggests the copy part, but I figured hell, why not stimulate the heck out of the search algorithm and move all the knobs. For the first few weeks my listing stayed at the $55 mark more/less one dollar, but my findings were those that were higher and lower in pricing had less traffic, I couldn’t believe that someone that is pushing a rental for $40 almost always had his listing available. My unit was renting almost every day and as I saw success and my review count started climbing (my competition all had about five reviews and I had none), I increased rental rates, but still messed with the pricing by a dollar each time. About three weeks in I stopped messing with the copy and only messed with the unit rate. Final rates were $75 during the week and $100 on the weekends at the end of the month. All the hard work paid off, switching out old copy with new copy, a few images updated, and pricing fluctuations, I saw a very successful month. I kept my rental at the same price, ($75/$100) and stopped edits fully. My profile saw 400 less views over the previous month and bookings suffered proportionally. Now this could be because we are going into the off season in south Florida, which is a new variable that started to affect my smart pricing from AirBnB, but people kept their pricing at the same rate as the previous month, so I did the same, with that being said, all things stayed equal, so it might be the month, because those that had an unchanged listing saw a drop in bookings as well. Time of the year is a killer somewhat if you are in a seasonal location, but if you keep things fresh and clean you will have a listing that shows up above the competition for your area. Are there faults to these findings? Yes, but keep in mind this information makes me believe that a AirBnB has their own search algorithm and it’s not random as it seems to favor those that keep their listing current.